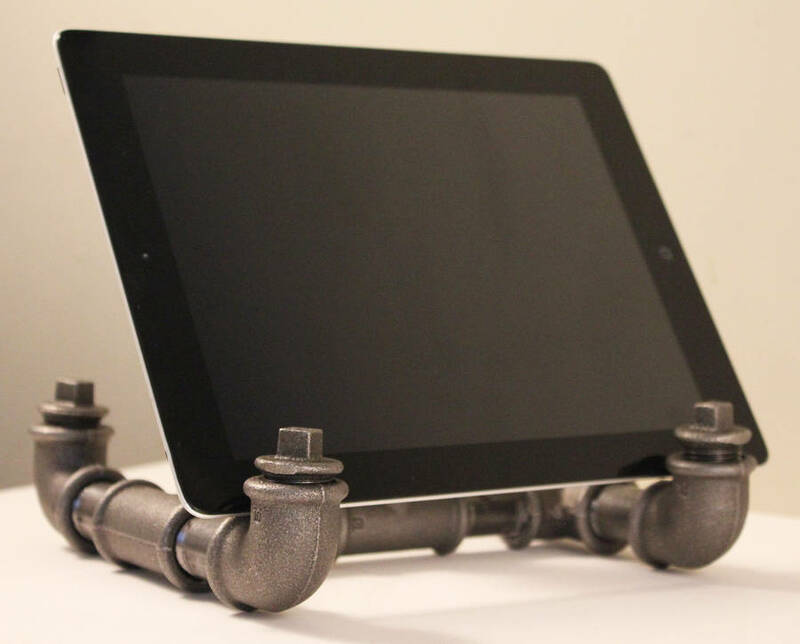 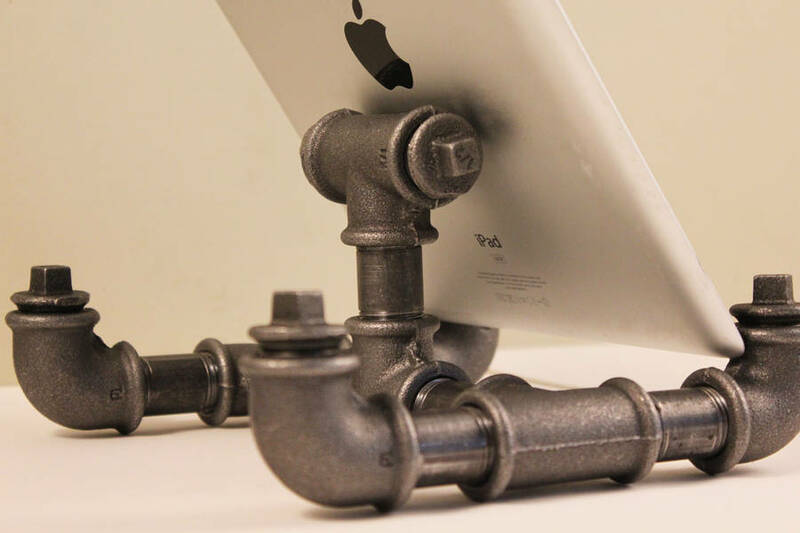 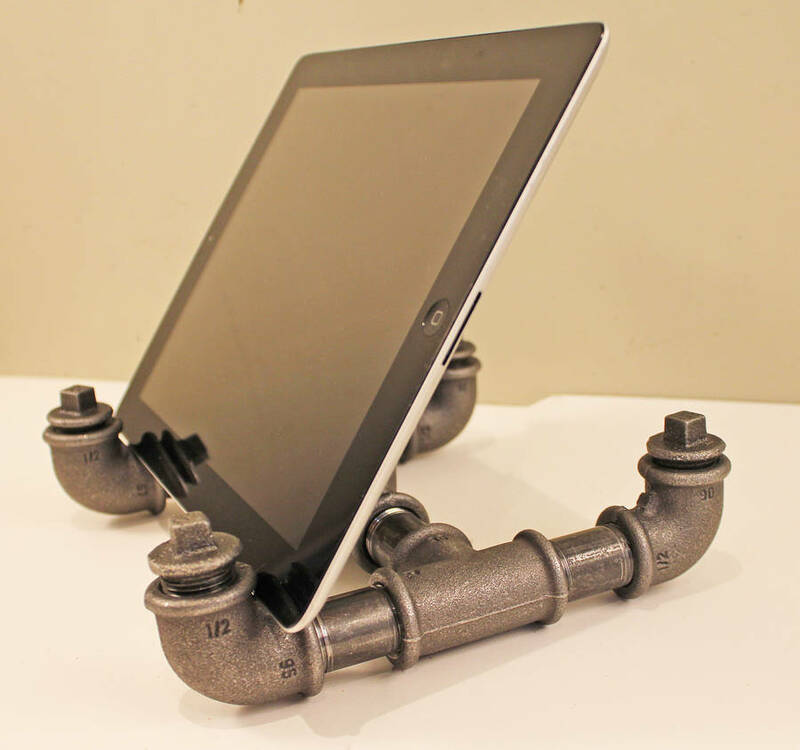 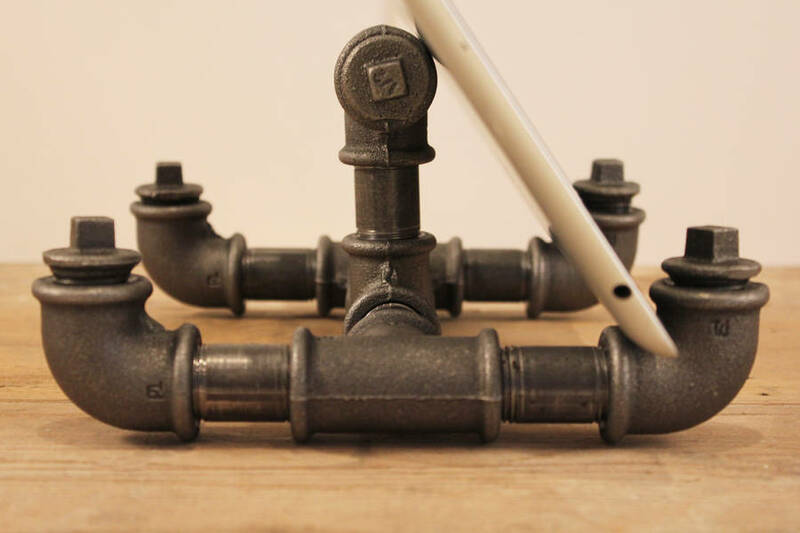 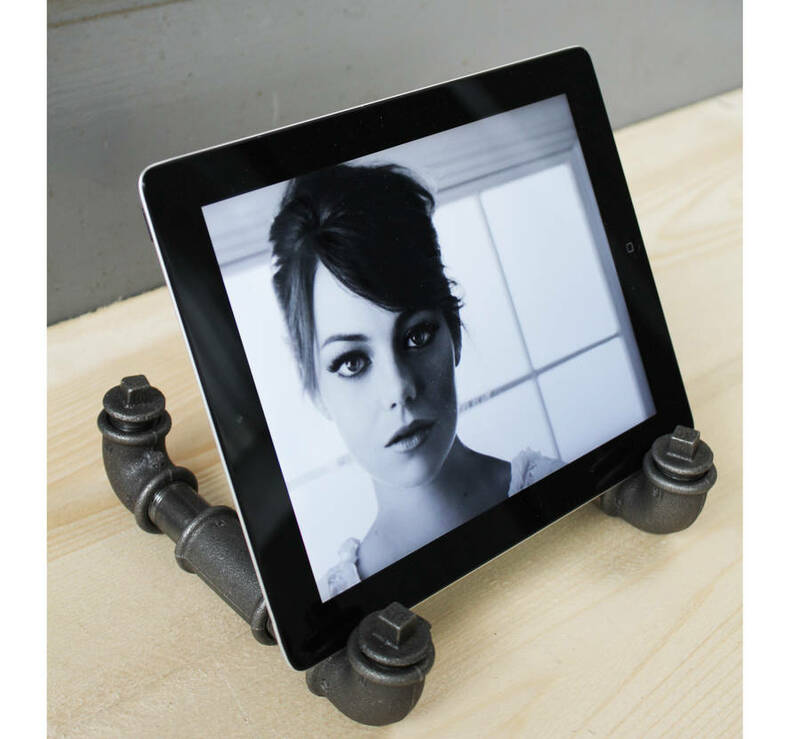 Industrial pipe ipad or tablet stand. 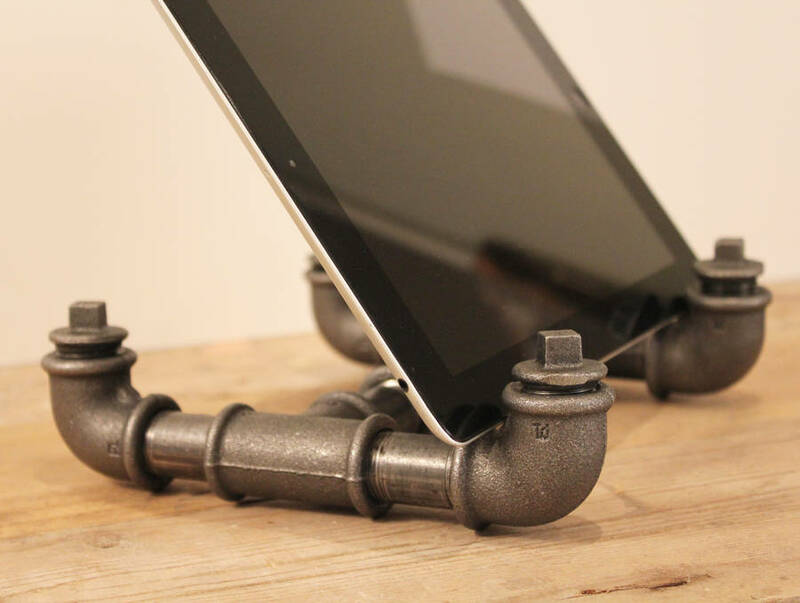 A design that allows hands free access to your iPad or tablet in both horizontal and vertical positions for the best in browsing experience. 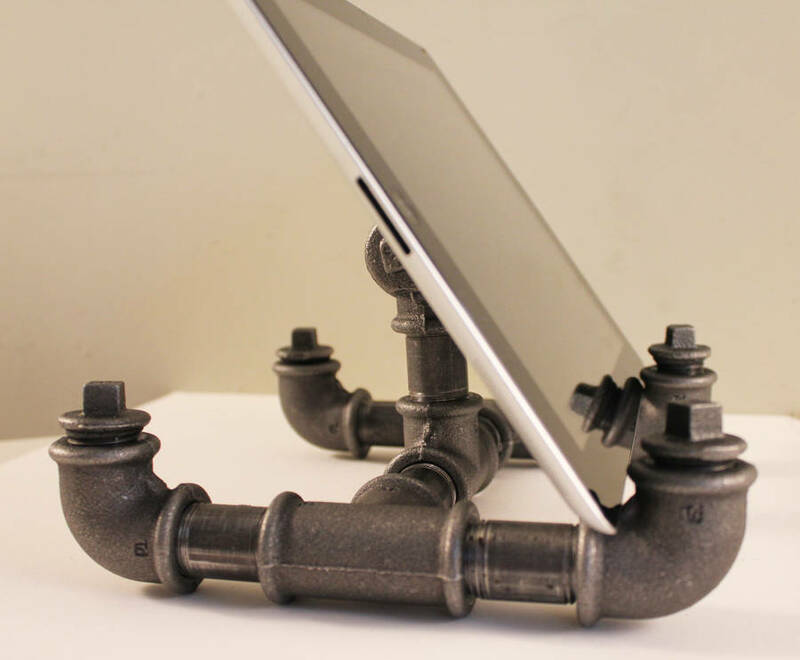 A distinctive 'industrial style' steel iPad or tablet stand with a robust and sturdy design, would look great on an study desk, a kitchen table or even in the bedroom. 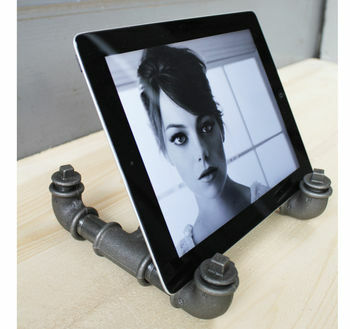 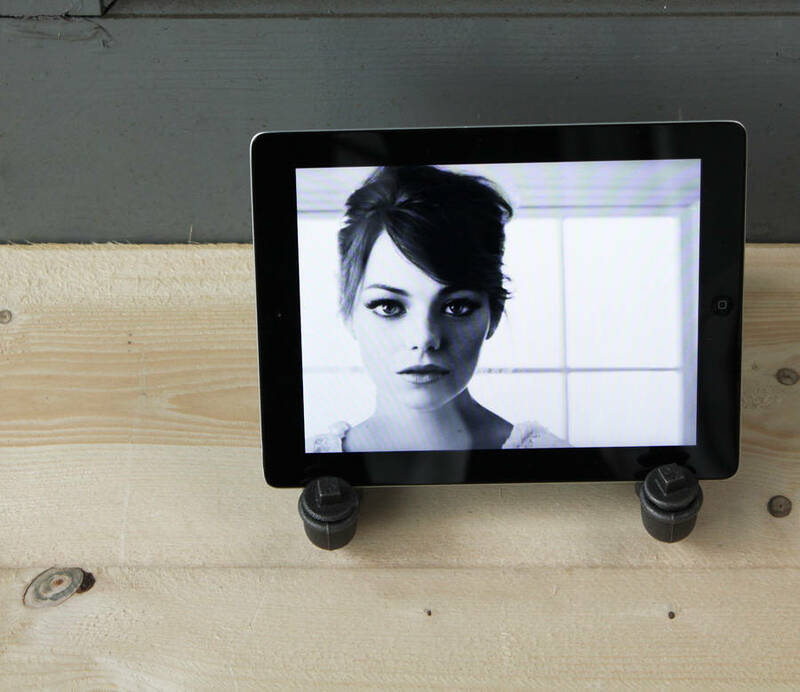 With a fantastic design, strong build and a versatile nature, this iPad or tablet stand will always catch the eye. 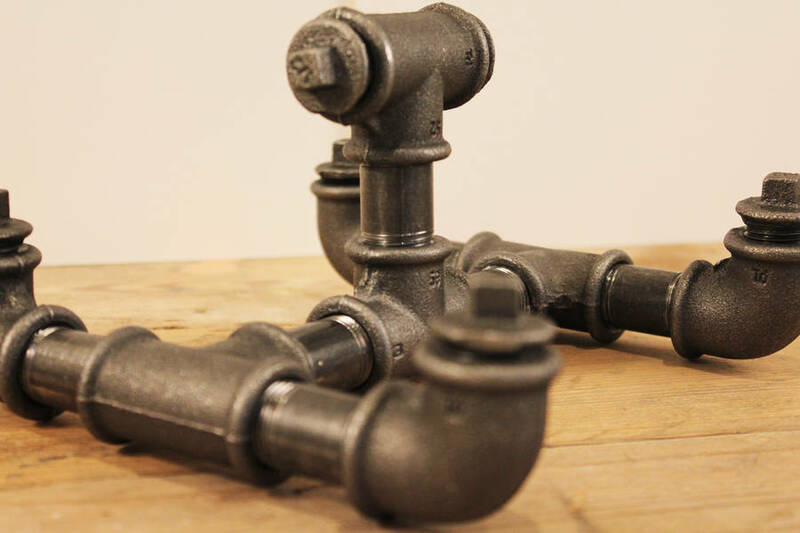 This quirky but loveable piece is individually handmade in our London workshop.